There are several do’s and don’ts when it comes to applying makeup. However, most people are worried about their skin after applying makeup. Most of us are not blessed with a perfect skin and in order to make it look flawless, we need to use many makeup products. Though makeup covers all our blemishes and imperfections, it is necessary to prepare the skin for applying makeup. Preparing the skin for makeup is very important because not doing so can lead to many skin problems like clogged pores, breakouts, etc. The preparation occurs before you start applying any makeup product, for instance, a foundation. Every makeup artist in Mumbai will abide by this procedure. 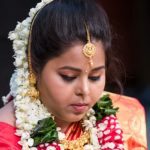 If you are looking out for a specific traditional look, try opting for a south Indian bridal makeup artist in Mumbai. Here are some tips to prep your skin for makeup application. Before applying makeup, the face has to be cleaned, toned and moisturized. It is necessary to keep the face clean before applying any makeup product. Make sure your skin care products suit your skin type and do not cause drying or promote oiliness. Most of us ignore the under-eye area and think moisturizing makes up for everything. It should be noted that the area under the eyes is extremely sensitive and it is best to protect it with a layer of an eye cream. This particular cream can be applied even before you go for the face moisturizer. Applying primer is the most important step in makeup application. A primer is a light cream like a base for your makeup. This particular product is like a platform for all your makeup applications. Additionally, primer helps your makeup to stay for a longer time because it holds the products to the face. If you have pores and scars then using a primer is a must. Many a times pores and scares absorb the products which gives the face an uneven look, in order to avoid this, using a primer is necessary. Lips also need special care before lipstick application. It is essential to moisturize the lips before applying a lipstick. Sometimes a direct application of lipstick can cause creasing on the lips due to dryness and hence, it is best to first apply a lip balm. 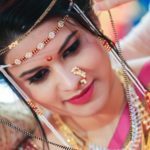 Opt for a south Indian bridal makeup artist in Mumbai and give yourself an impeccable traditional look.